When you invest in precious metals like silver and gold, you diversify your portfolio, and set yourself up for better wealth in the long-term. Of course, that’s only if you choose the right people to buy your bars from. Simply launching your investment portfolio without careful evaluation of the silver sellers available to you in the US could mean that you’re basically throwing your cash out of the window. Even if you were lucky enough to avoid the countless scammers that are online today, attempting to sell fake silver to the unknowing masses, you could still spend far too much on your silver selection. To make the most out of your money, be sure that you arm yourself with knowledge before you start to buy silver bars. By the time you’ve finished reading this article, you should be well-prepared to start your strategy on the right foot. Before we share some of our favorite silver bullion dealers with you, we thought we’d give you a quick insight into how you can evaluate your own sellers. Often, it helps to place the seller pages on silver websites side by side in different tabs. This will give you a good overview of what you can expect from a silver bullion dealer. Some sites will look more professional than others. If any website you come across leaves you feeling suspicious, it’s best to get rid of that one immediately. Don’t take any risks with your cash. Shipping expenses: Some dealers will offer free shipping on your orders, while others will only provide free shipping if you spend a certain amount first. There are also bullion dealers who will expect you to pay for shipping by weight. Premium over spot: Most silver bullion dealers have a lot of competition right now, so they’ll be willing to drop their prices as low as possible to get your business. This means that you should see plenty of low premium over spot prices. However, a good dealer should list the range of prices for “PoS” up front, so you can make an informed decision about your investment. Fees for specific transactions: There can be a number of additional fees associated with buying silver bullion, besides the simple cost of the silver itself. For instance, some companies will charge you for using credit cards, or a specific type of debit card. There are also additional expenses out there for customers who prefer to use wire transfers and direct bank transfers, so keep that in mind before you start buying. Buy-back rates: It’s also worth looking at how much money over spot your dealer will be willing to give you if you decide to sell silver back to them in the future. While you might not need to worry much about this when you’re accumulating your investment portfolio, it could be an issue later if you decide to liquify your holdings. Locked-in prices: Make sure that you check with each dealer to determine whether they’ll lock in your purchase price at the checkout, and how long they’ll be willing to hold that price for. Most online websites will be willing to price metals according to the ticker tape from COMEX. Often, this ticker tape price changes rapidly throughout the day. Once your order is locked in, you should agree to pay that price regardless of what happens. Insurance: Finally, any bullion dealer that’s worth buying from should always offer insurance with their shipments. If your shipment isn’t insured, then you should not buy from that seller. However, you can see whether you need to pay separately for insurance on certain sites, or whether the price is rolled into shipment fees. Ultimately, as you continue to invest in precious metals, you’ll find that there are a few websites you prefer to buy from more than others. However, here are just five of our favorite options for silver buyers in the US right now. JM Bullion was accredited by the Better Business Bureau in 2014, and it’s perfect if you want a diverse range of art silver and silver bullion to choose from. JM Bullion also offers free shipping, which is great for those who want to cut costs on their investments as much as possible. In terms of the sales that they’ve already accomplished, JM Bullion is a major leader in the current marketplace. They usually deal with an average of around 30,000 orders per month, and they wouldn’t be able to maintain a volume that large if they didn’t have a great service and some fantastic prices too. With only a handful of negative reviews and hundreds of positive ones, JM Bullion could be a great option if you’re looking for a reputable seller. SD Bullion is a website that’s been in business for quite some time now – since 2012 to be exact. This company has been registered with the Better Business Bureau since 2014, and they offer a range of unique items to purchase, as well as precious metals. You can buy survival supplies alongside your silver and gold if you like. There are almost unlimited options to buy silver as well as gold bars. We have uncovered the best options to buy gold here. The company was launched by a group of doctors who distrust the fiat cash system. While the SD Bullion website doesn’t obviously announce buy-back and shipping prices, and the selection is somewhat limited, the company has a great reputation for honesty and great service. Additionally, there’s a live chat option on the website if you have any issues you need help with. Texas Precious Metals, or TPM, is a company headquartered in Texas, and owned by a family company called the Kaspars If you do a little research into this brand, you’ll discover that they have great roots in Texas that go all the way back to 1989. What’s more, TPM sells a broad range of silver bullion for you to choose from – including bars minted in their own brand. The free shipping on all packages and the low premiums make this website particularly appealing. However, the most interesting aspect of TPM is that they’re willing to sell you any quality of product without reporting it. If you want to make sure that your precious metal transactions remain private, then you really can’t falter TPM. This company is also accredited with the Better Business Bureau and has a A+ rating like the other companies on our list so far. Another incredibly popular American brand, the American precious Metals Exchange, or APMEX has a strong reputation in the US. In fact, it’s been accredited with the Better Business Bureau since 2004, which gives it almost 15 years with an A+ rating. The APMEX site offers similar shipping deals to the Silver Gold Bull website, though their premium prices are much better. It’s no wonder that APMEX has a lot to offer its customers however, when you look at all the products they have to sell. In fact, APMEX has over ten thousand items to choose from, and over a decade of happy clients behind them too. The high volumes that APMEX trades with means that they can keep their premiums very low. What’s more, the staff is great to work with too. They’re always happy to answer questions and offer assistance. Finally, if you’re comparing silver bullion sellers, then this is a good website to use. You can see the pricing range per product, so you know exactly what your premiums are up front. 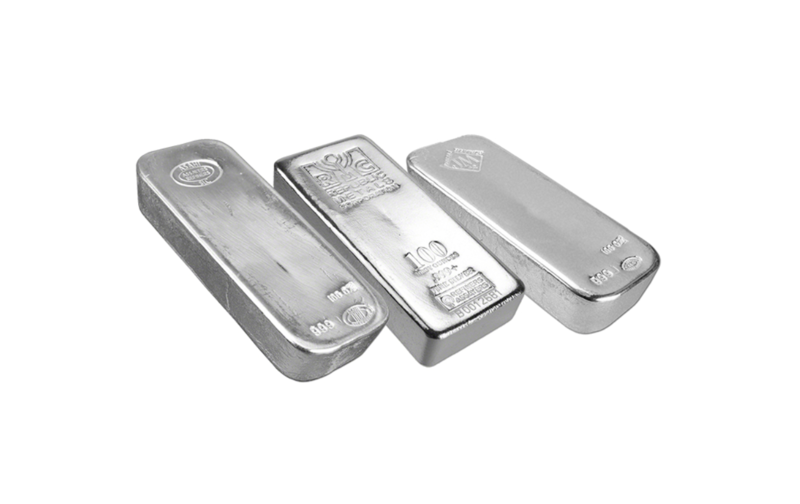 Additionally, Silver Gold Bull also have some very low prices on their silver bars, alongside a great selection. The company has been accredited with the Better Business Bureau since 2012, and they haven’t had a lot of complaints either. Shipping is free on any order over $99, although you will have to pay $9.95 on anything under that. One of the great things about Silver Gold Bull is that they offer a price match guarantee which allows you to reduce the price of your product if you find something of a lower price with shipping and other fees elsewhere. Not only will you get the best price from this company, but they promise a great overall experience too. Once you’ve taken the time to research your options with silver bullion, why you should invest in it in the first place, and what you should look for from a seller, you’ll have everything you need to start your investment. Make sure that you compare your experiences with different sellers as you go along so you can ensure that you’re getting the best results every time. Remember, most businesses will be happy to get your feedback too, so you might as well leave a review if you have chance, and you might be rewarded with a discount the next time you buy.